Jewish Home minister considering move to flashpoint neighborhood, challenging PM to uphold vow that Jews can live anywhere in the capital. 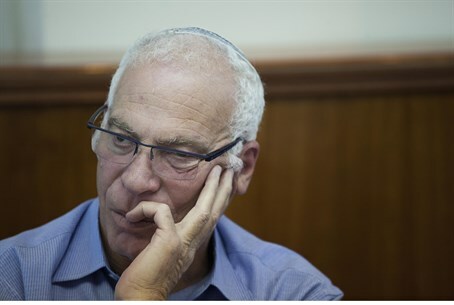 Israeli Housing Minister Uri Ariel (Jewish Home) is reportedly considering moving to the City of David neighborhood in Jerusalem, in a show of solidarity with Jewish residents under attack by Arab extremists. The City of David is located in an area known to Arabs as Silwan, and is one of a number of Jewish enclaves in the area. Along with nearby Kfar HaShiloach, the neighborhood recently made headlines when several Jewish families defied Arab violence and international opprobrium by purchasing several properties and moving in. According to Channel Two, Ariel has already toured the area with his wife to find a suitable apartment, and has approached his Shin Bet (Israel Security Agency) VIP guards to arrange his move to the flashpoint neighborhood. Ariel currently lives in the Judean town of Kfar Adumim, just northeast of Jerusalem, and his move appears to be an attempt to challenge Prime Minister Binyamin Netanyahu's statements that Jews can live anywhere in Jerusalem. The PM made the statements following international criticism over new construction in Jerusalem, as well as over Jews purchasing homes in the majority-Arab neighborhood. It would also be a symbolic challenge to the US administration, which has expressed "deep concern" over the presence of Jews in Arab-majority neighborhoods.